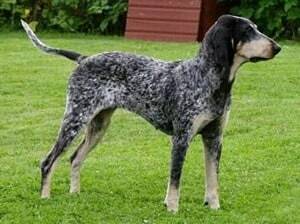 Also known as “Big ‘n Blue,” and “Bluetick,” the American Blue Gascon Hound is a large American hound of the Mastiff group. American Blue Gascon Hounds, though quite large, are agile dogs with well-balanced movement. They are lively and energetic with much character and spirit. 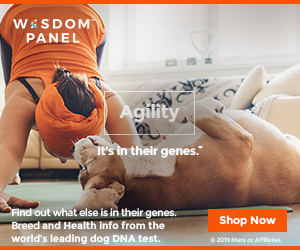 American Blue Gascon Hounds grow to a height in between 24 and 32 inches in height and will weigh in between 70 and 110 pounds at maturity. Its coat is short, dense, and very thick. The coat is white with heavy black ticking (which creates the “blue” appearance), and irregular markings that are usually blue or black on blue. Many variations in color are allowed and there are often tan points. Its eyes are deeply set and are either light brown or light yellow. Its body is strong, powerfully built, and its back and chest are thick and muscular. Its tail is set high, very long, and tapers to a point. Old fashion “Blueticks” have been around for years. Oliver O. Grant was the author of the original standard and was also one of the original breeders of American Blue Gascon Hounds.